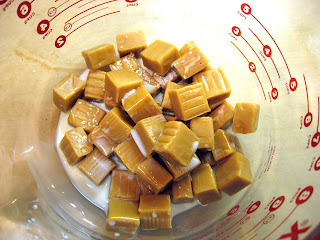 I think it was always a hard decision for me (back when I could still eat them) on whether Caramel deLites (a.k.a. 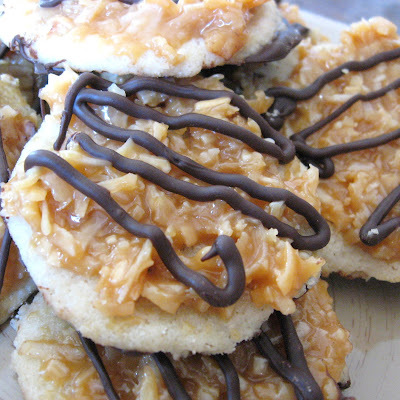 Samoas) or Thin Mints (recipe here) were my favorite out of the Girl Scout cookies. 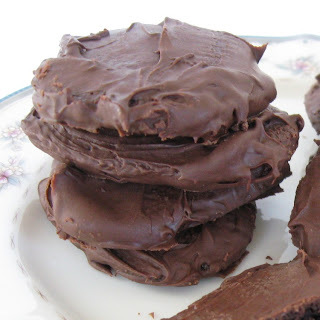 I could easily eat an entire sleeve of the Thin Mints in one sitting - and have great memories of doing so with my family when I was younger. I didn't want my girls to go without the same experience just because they can't eat gluten, especially since my oldest is in Girl Scouts now. 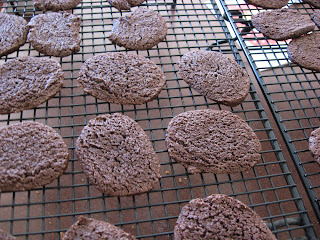 I adapted this recipe from this recipe over at Baking Bites. The cookies were very good, but they spread out a little too much for my liking. Next time I'll freeze it first in a log, then slice the batter. 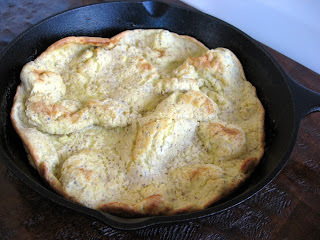 I tried this on a different cookie yesterday, nearly the same batter, and it worked well. If I even make individual cookies again. I honestly think next time, I'll spread the batter out into a pan and bake the base for bars, then do topping, cut into squares and coat bottoms/drizzle chocolate individually. I'm about saving time whenever possible! 8 oz. semi-sweet chocolate chips, plus 1 separate tbsp. Preheat oven to 350 degrees (unless you are freezing the dough into a log, as I mention above - it's what I'll do next time). 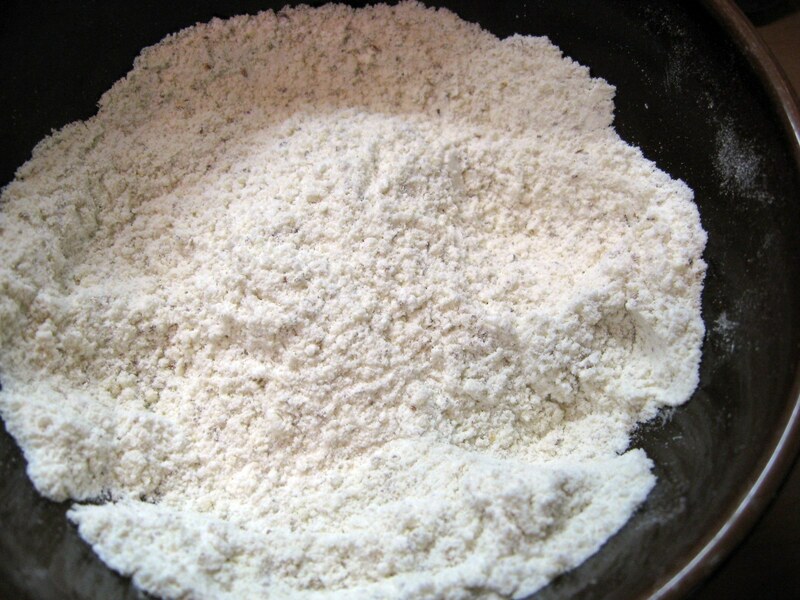 Combine flour blend together with salt and baking powder, and set aside. Cream butter and sugar together, then add vanilla. Scrape sides to make sure it's all incorporated. Mix in the dry ingredients and continue mixing just until it's incorporated well and is a pliable dough (not crumbly). 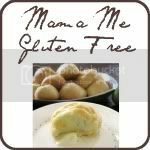 Line baking sheets with parchment paper and then roll dough into 1-inch balls, place on sheets and then flatten to approximately 1/4-inch thick with the bottom of a cup (unless you try the log method mentioned above). 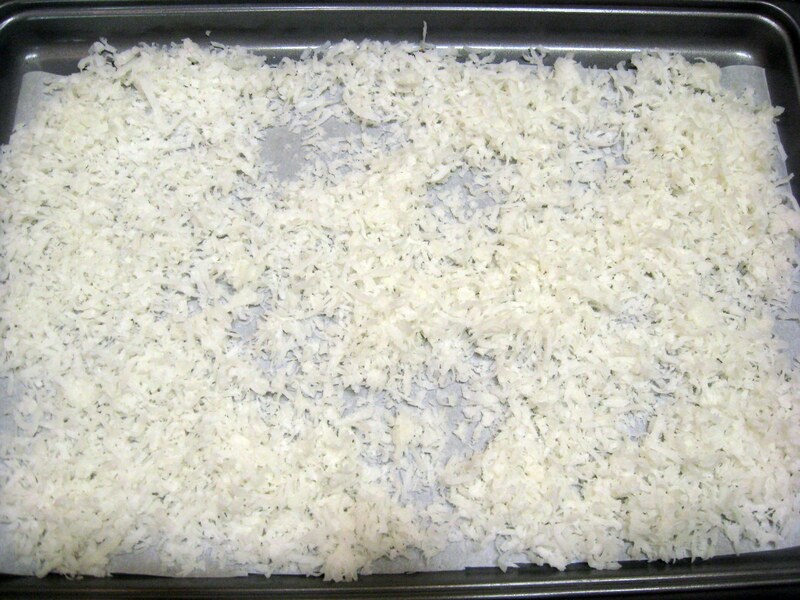 I baked one sheet like this to see how they turned out. They came out so terrible I didn't even take a photo. The problem is the above-mentioned spreading of the cookie. 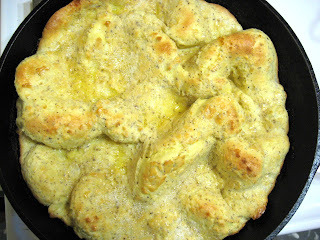 I have remedied this somewhat by making a thicker dough than I originally used in this batch (therefore, these photos). The recipe above is another adapted version, a thicker dough than what I used in these photos and for this batch, but I did try it out in a slightly different flavored cookie yesterday and it worked better. Yesterday I also rolled the dough into a log first, froze it and then sliced them. 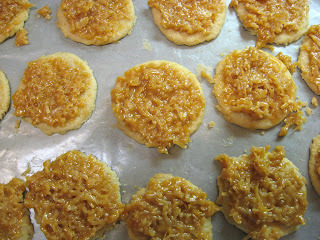 Since it's a different type of cookie, though, I'm posting those photos for a different recipe on another day. 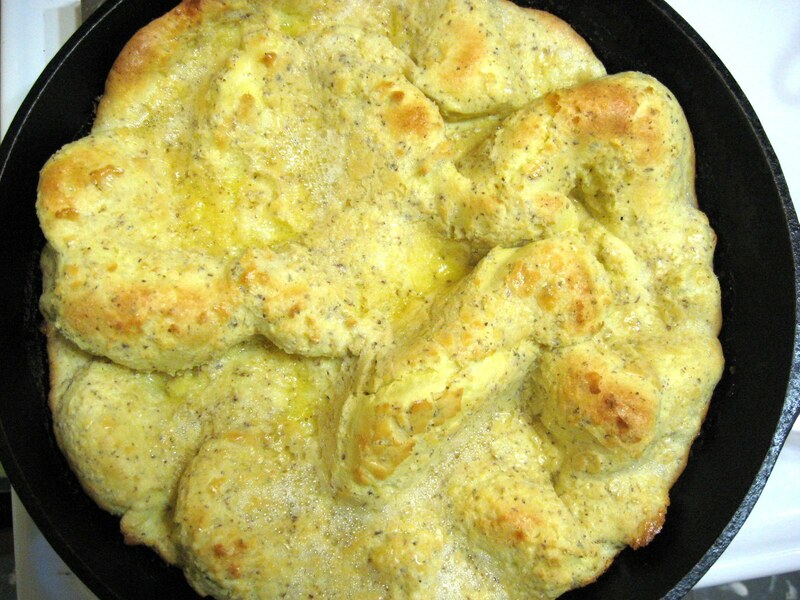 So, now your dough is on the sheets. Bake at 350 degrees for 7-10 minutes. Check at 7 minutes. You want them to be done, but not overdone. The edges should be starting to brown. They will be a crispy, not soft cookie. 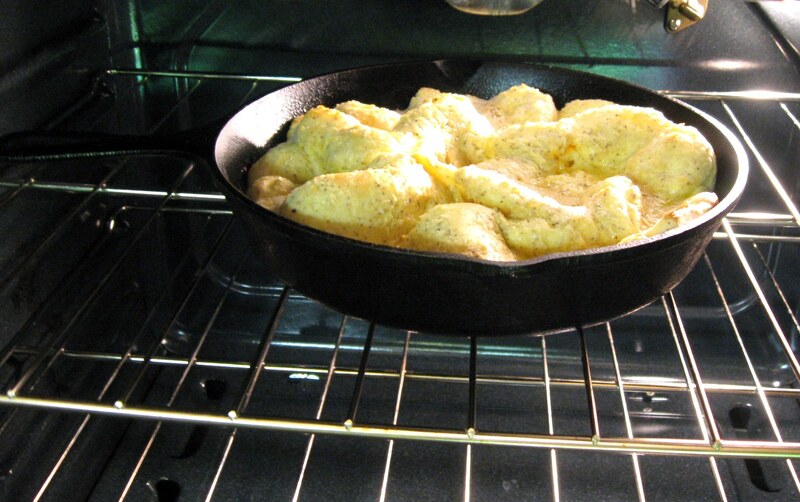 If you are using a gas oven, bake on the top rack. 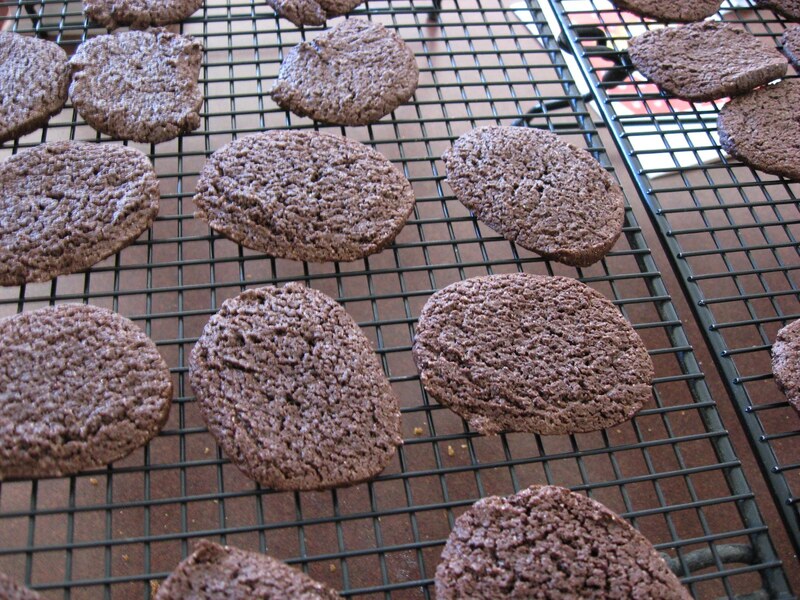 Let the cookies sit for a few minutes on the sheets before transferring to a wire rack to finish cooling. They will break apart if you try to move them too soon. They will stay together once they are cool. 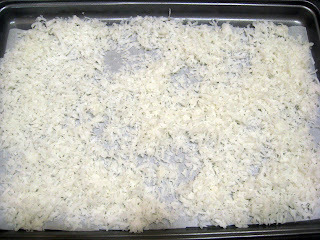 And toast for 20 minutes, removing every 5 minutes to stir it, until coconut is golden brown and crispy. Go ahead and taste it. It's wonderful. Place unwrapped caramels in a microwave-safe bowl with the salt and milk. 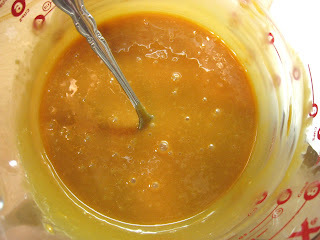 Microwave on high for 3 or 4 minutes (or less if your microwave is melting it faster), and stop every minute to stir, until the caramel can be stirred smooth. Fold in the toasted coconut. Spread topping onto cooled cookies (placing back on paper-lined sheets), and microwave the caramel again for a few seconds if it cools off too much to work with. Let the cookies sit for a while to let the topping harden. Meanwhile, melt the 8 oz. 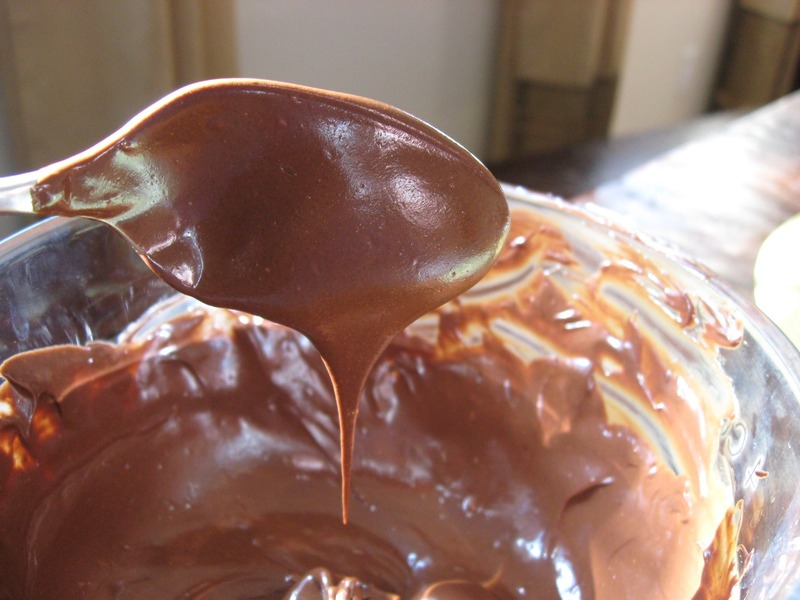 of chocolate in a microwave-safe bowl on high for about a minute and a half to 2 minutes, stopping after the first 45 seconds to stir and every 25 seconds after that. When you can stir the chocolate smooth, add the 1 tbsp. 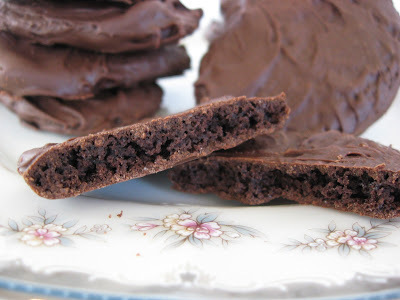 of chocolate and stir quickly to melt and incorporate. This should help the chocolate set up better after cooling. I forgot to do this, and had to store the cookies in the refrigerator because the chocolate would melt as soon as it was touched. 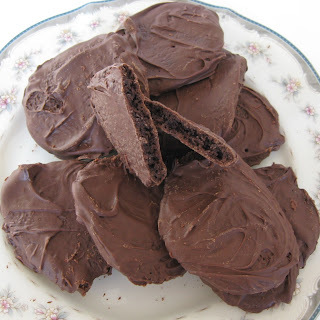 Spread chocolate onto the bottom of each cookie and return to sheet. 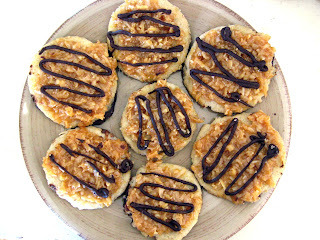 After the bottom of cookies are coated, place remaining chocolate into a piping bag or small ziploc bag with a tiny snip taken out of the corner, and drizzle chocolate over the hardened caramel topping. Let the chocolate set before serving. You can speed this up by placing the cookies in the refrigerator. Store in airtight container between layers of wax paper after chocolate is set. And if you'd like to try Thin Mints, here's a recipe for those. 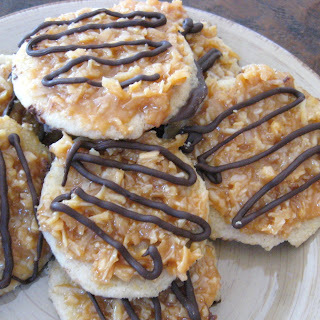 My oldest daughter started Girl Scouts this past fall, and the minute she did I knew I'd have to make some copycat cookies gluten-free in our favorite flavors: Thin Mints and Caramel deLites (Samoas). When we went gluten-free a couple of years ago, I actually called the corporate Girl Scouts office and asked them about the possibility of selling a flavor or two in gluten-free options. I got a vague "we'll look into the demand" (hint, hint, if anyone reading this is higher up in Girl Scouts) and immediately knew by the time my oldest requested to join, there would be no such option. 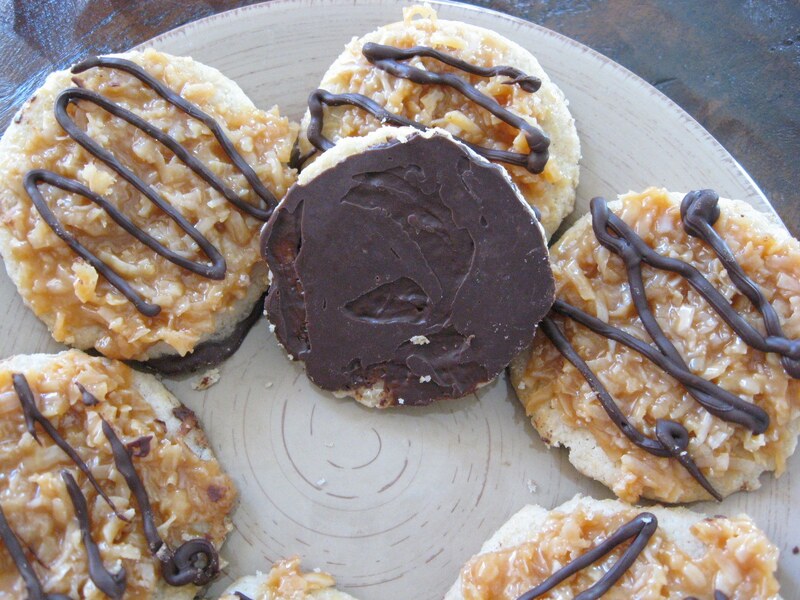 She started selling the cookies a few weeks back, and I got the thin mints made that first week. The verdict? Amazing. Waaaayyyy better than the originals. I hope you'll agree. 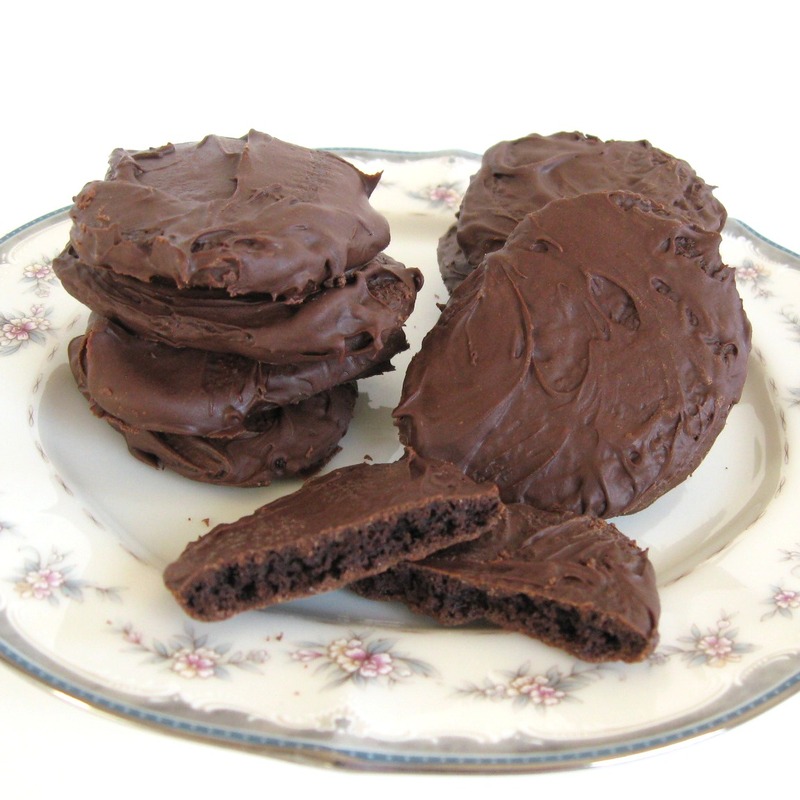 I adapted these "thin mints" from this recipe on Food.com. *Note: I HATE Crisco. I would much rather use butter, olive oil, coconut oil, grapeseed oil or canola oil for all my cooking and baking. Even margarine, which I only use a tiny handful of times a year, I would prefer over Crisco. There is something that is disgusting to me about Crisco, and I have to fight a gag when I use it. So much so, that I'd had an unopened can of Crisco in my pantry for more than a year and I opened it for this recipe. So why did I use it? I wanted this coating to be perfect, and harden nicely without needing to be kept in the refrigerator and melt as soon as you picked a cookie up. I didn't believe butter or oil would work for the coating I wanted, but I may try a reduced portion of this coating just to test without any shortening and see how it turns out. If it works well, I'll come back and edit. If you know of other tricks that will get this same coating I achieved without having to use it, please let me know! 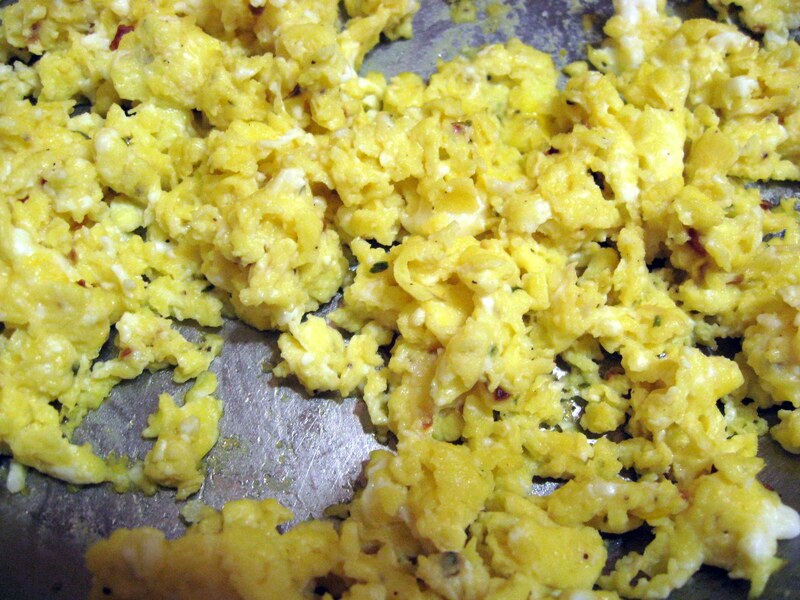 Mix dry ingredients together in large bowl, then remaining ingredients (your egg should be room temperature so it doesn't harden the butter) and mix together, adding water last. 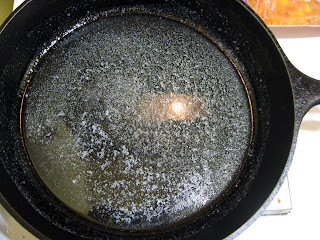 Add a little more water as needed, as noted above, until you achieve the right texture. Using a stand mixer with the paddle attachment, as for all heavy cookie doughs, makes it easier. I should have taken photos of the dough when it was finished so you could get an idea of the consistency, but it just looked, ummm ... not very yummy to say the least. Roll dough into a log, wrap in plastic wrap and refrigerate for at least 2 hours. I refrigerated overnight. 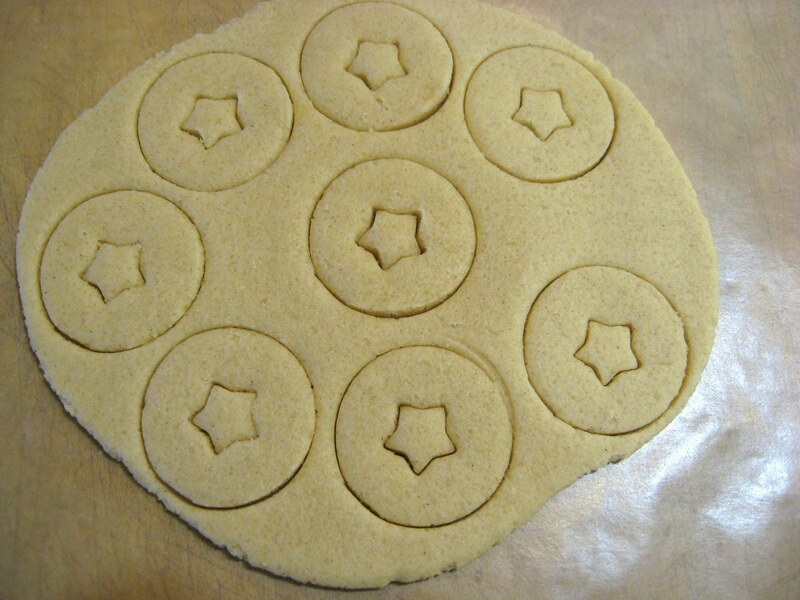 Note that this didn't make the most beautiful round cookies. When I cut the dough from the log, each slice was flattened some even though I used a sharp knife. If you want perfect circles, you'll need to either try freezing the dough before cutting, or rolling it out and then cutting circles. 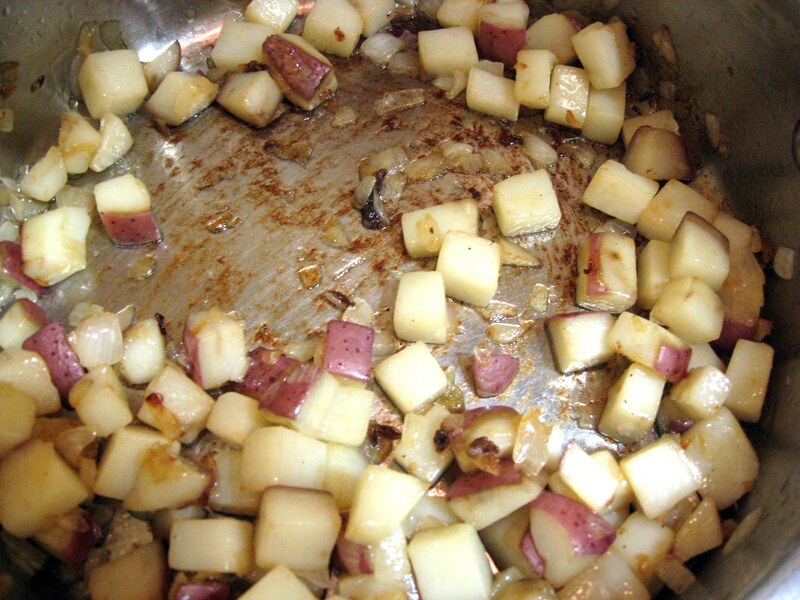 Remove log from refrigerator and cut, with a sharp knife, into approximately 1/4-inch slices and place on baking sheets lined with parchment paper. 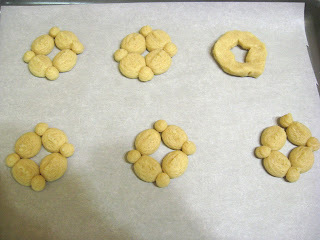 Not perfect circles, as noted above, but it takes less time (a plus for a busy mom!) and they do look better once baked and coated. Bake for 10-12 minutes. 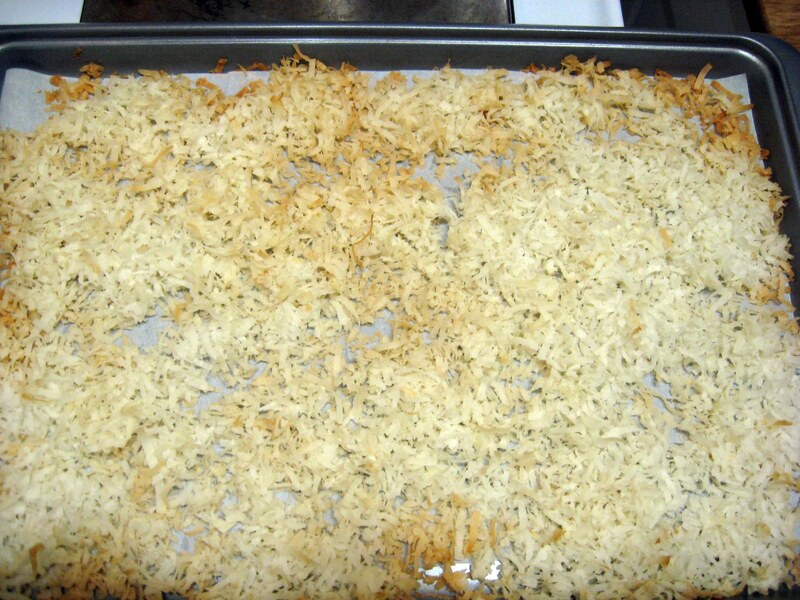 You want them to be crispy (but not burned!) when they are cool, so you may want to bake a few and let them cool to gauge baking time. Let them sit on baking sheet for a couple of minutes before transferring to wire rack to cool completely. 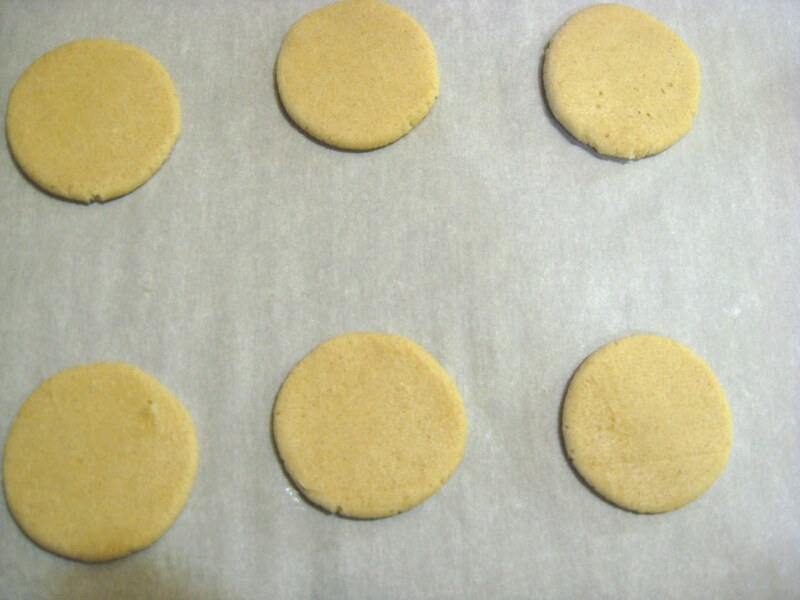 When the cookies have cooled completely, line the baking sheets with wax paper (stick them in the freezer if you have room, or the refrigerator) and start on the coating. 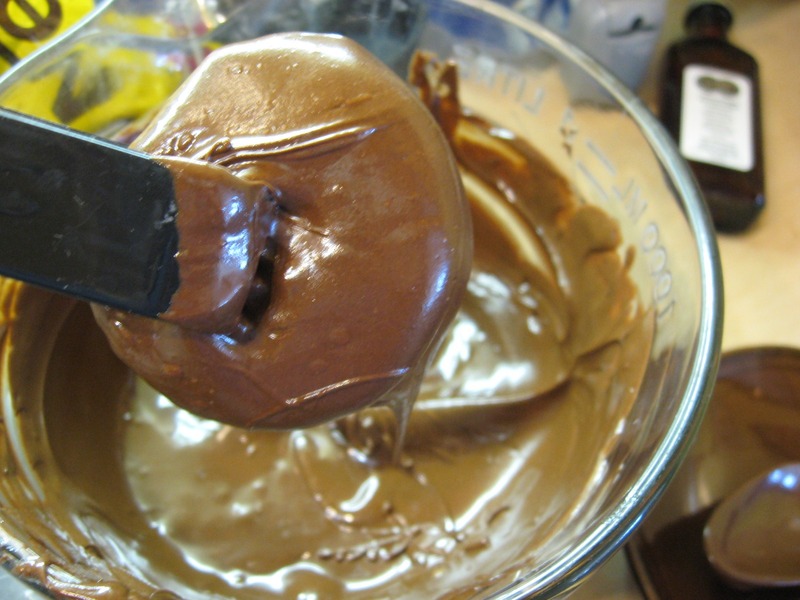 Place chocolate chips and shortening in a microwave-safe bowl and melt on high for one minute. Remove, stir and microwave 10 more seconds. 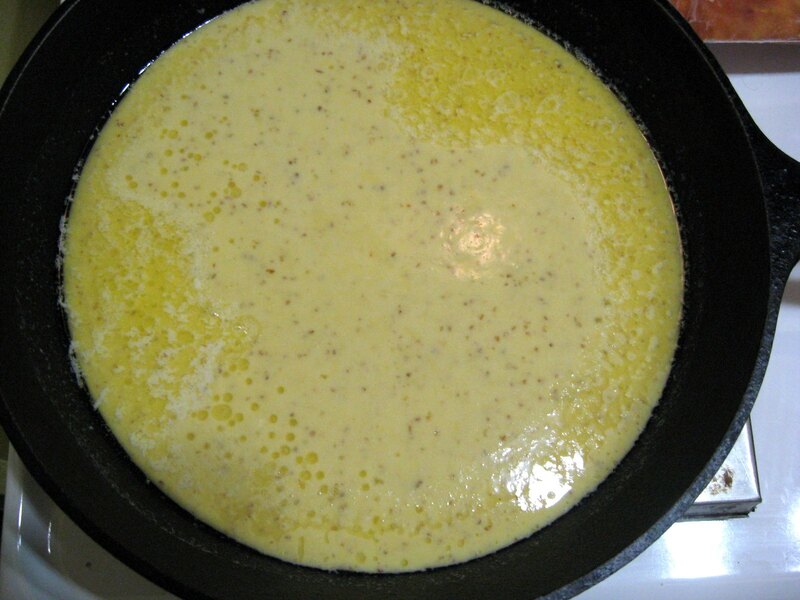 Stir until smooth, then quickly add 1/4 tsp. of the extract at a time, stirring quickly and very well after each addition. Continuing to stir very quickly, add the 1/8 cup more chocolate chips and stir until smooth. It won't be a real thin coating, but it shouldn't be too thick to stir easily, either. If you were able to make room for the sheets in the freezer or refrigerator, that will help keep the chocolate from spreading when you place the cookies on the sheet. If not, it's fine, but the chocolate may spread out a little from the cookies when you place them on the sheets after coating them. 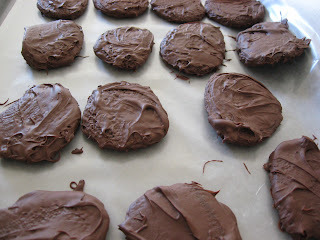 Dip each cookie into the chocolate and then shake and/or scrape off excess. 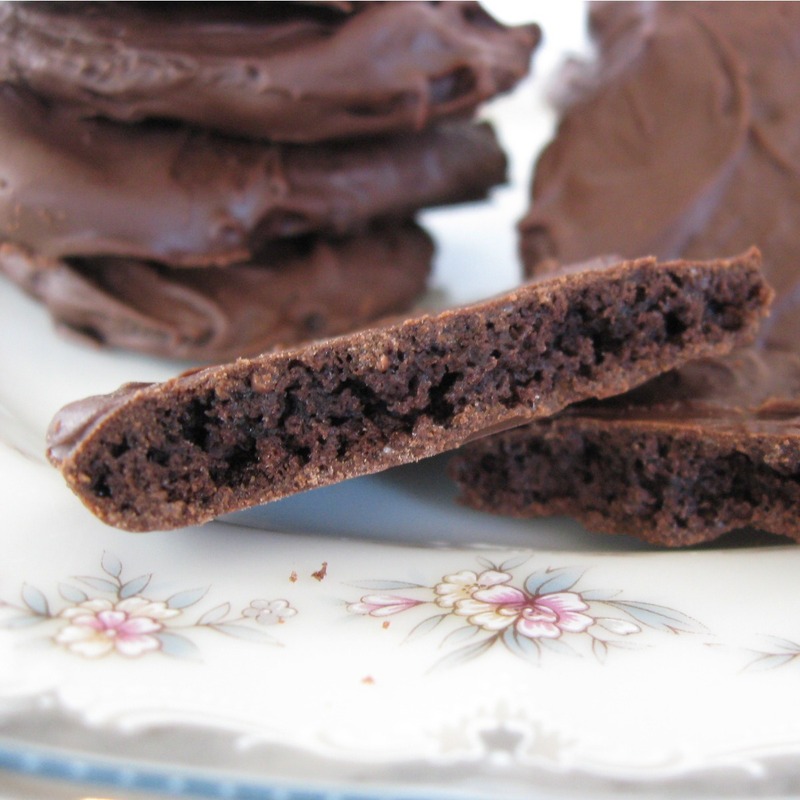 You will want to scrape off the excess, but still leave a thin coat completely covering the cookie. It will be thicker than it looks when set. If you are doing this the sanitary and/or less-mess-on-your-hands way, you'll use a couple of pairs of tongs, or a pair of gloves. 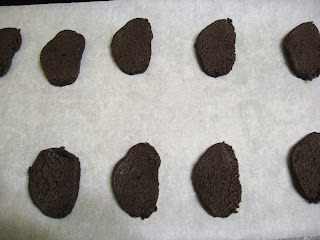 I tried the tongs for the first several cookies, but tired of it and since it was just our family and my hands were clean, I started using my fingers to hold the cookies. Set cookies on sheets and allow to sit until coating is completely hardened. 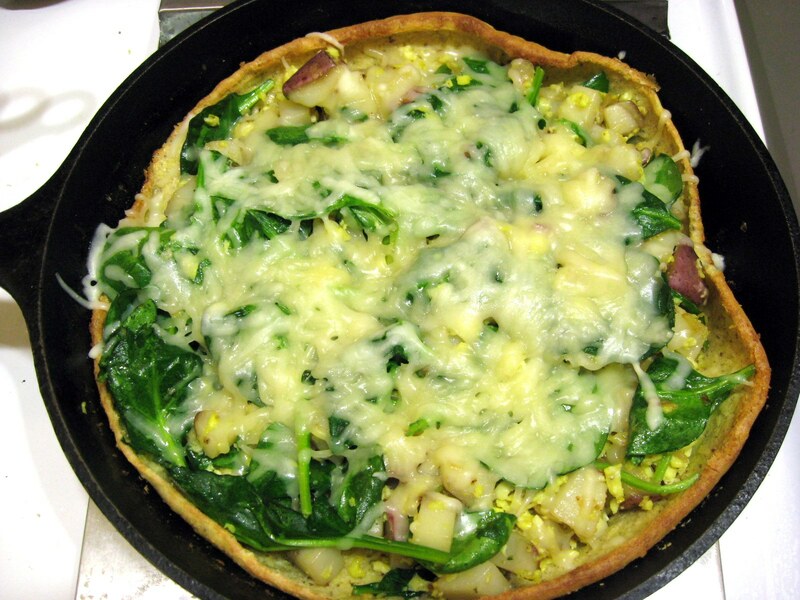 To speed up this process, you can place them in the refrigerator or freezer. I found this coating hardened pretty well on its own. Store in an airtight container in layers of wax paper. If you use this coating recipe, you shouldn't need to keep the cookies in the refrigerator. 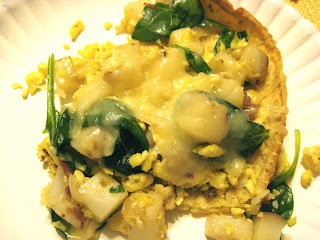 I just knew I would have a great recipe posted for you today. I got the photos edited yesterday and believed with all my heart the writing would happen today. I'm sorry. I've had a lot of things going on the last couple of weeks and the blogging has slowed down a little. 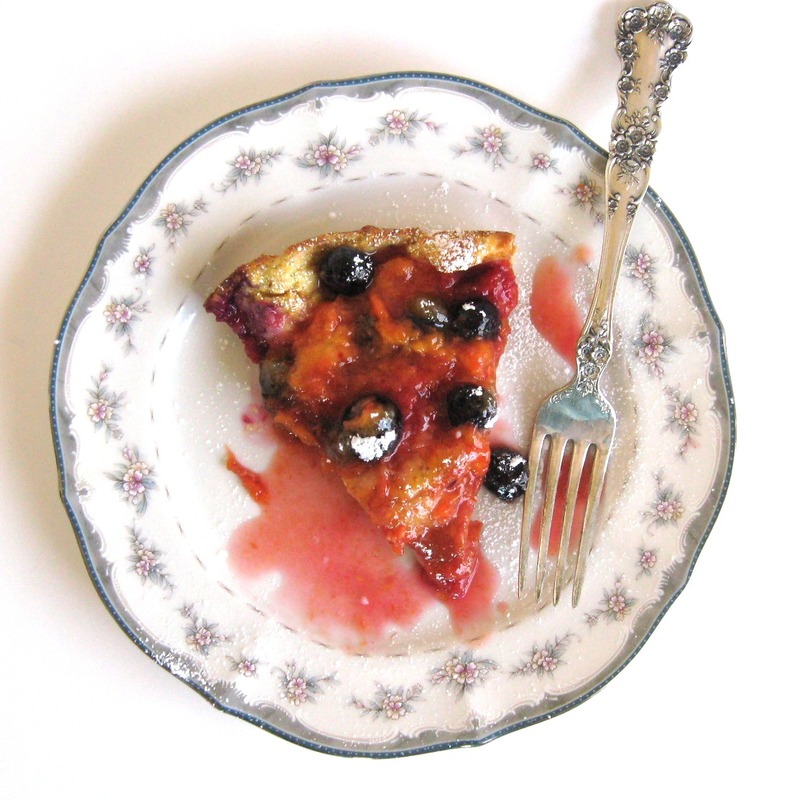 I do plan, however, to have a couple more recipes posted this week and/or weekend. I recreated a couple of popular favorites we haven't had since going gluten-free and can't wait to share them with you. Later. This week or weekend. Are your children begging for alphabet soup but you can't give it to them because it's not gluten-free? Schar makes the only replacement I've found so far. No, it's not the entire alphabet or numbers or shapes. But this Anellini pasta made by Schar comes in cute, tiny "O's" or zeros, if you prefer the numbers. I've found that they don't hold up too well in a soup as leftovers, but they do pretty well in the bowl if you add them at the end of your cooking. I'm telling you right now that the savory version of this puffed oven pancake may be one of my best creations ever. I think I've come up with some pretty tasty concoctions, and they each have a place in my heart. Many of them, however, have taken up a good time in the kitchen - with some frustration thrown in before finally giving me something I was satisfied with. This was one of those times where not only did it taste great and come out perfect the first try, it was easy. 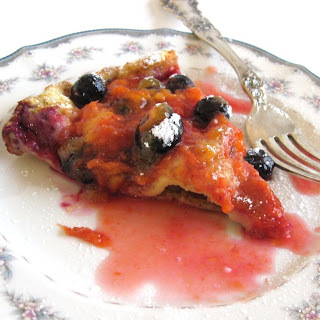 I made the sweet version of this pancake one morning for breakfast. The entire house was in agreement that it was a keeper. 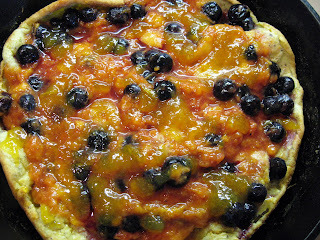 I adapted the pancake part of the recipe from the Puffed Oven Pancake recipe out of the Better Homes and Gardens Our Best Recipes cookbook. They also had a suggestion for the fruit. 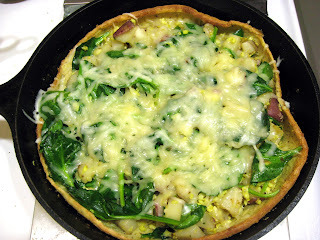 Note: If you do the savory version, you'll need to start cooking your potatoes and onions before baking the pancake. See below for instructions. Preheat oven to 400 degrees. 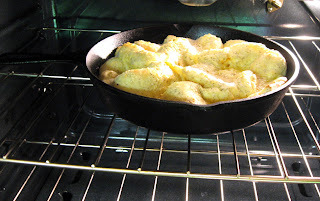 Place butter in a skillet (I used cast iron) and put in oven for two or three minutes until butter is melted, then remove from oven. 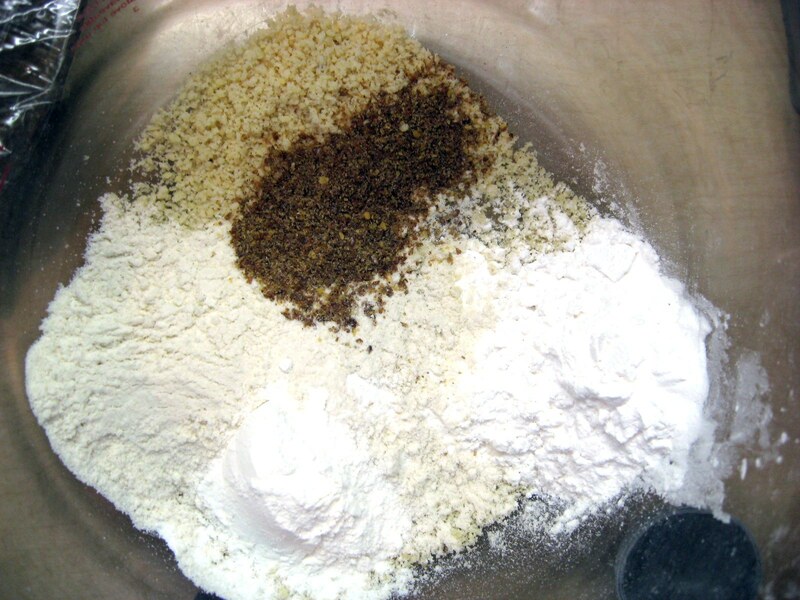 Sift dry ingredients together in small bowl. 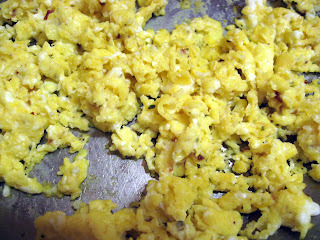 Whisk eggs together in a medium mixing bowl. 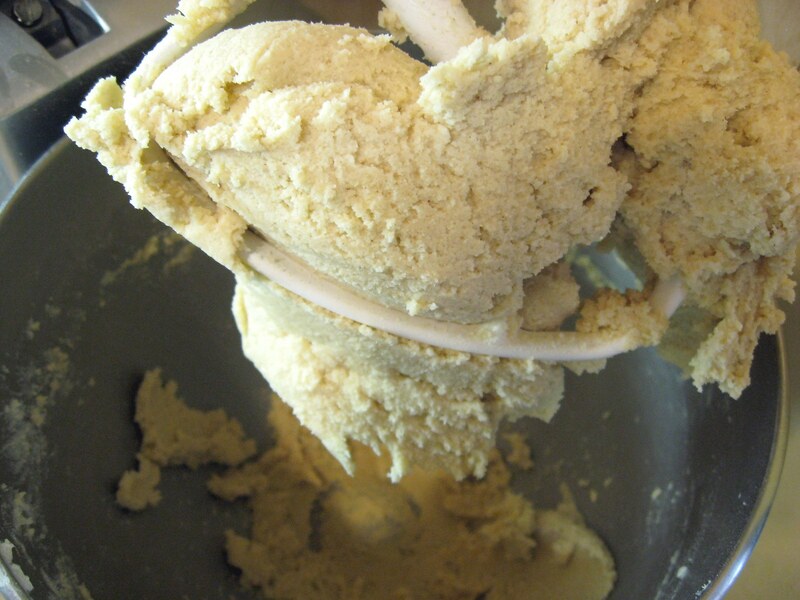 Add dry ingredients and milk, and whisk together well. Immediately pour into hot skillet. Bake at 400 degrees for 20-25 minutes. 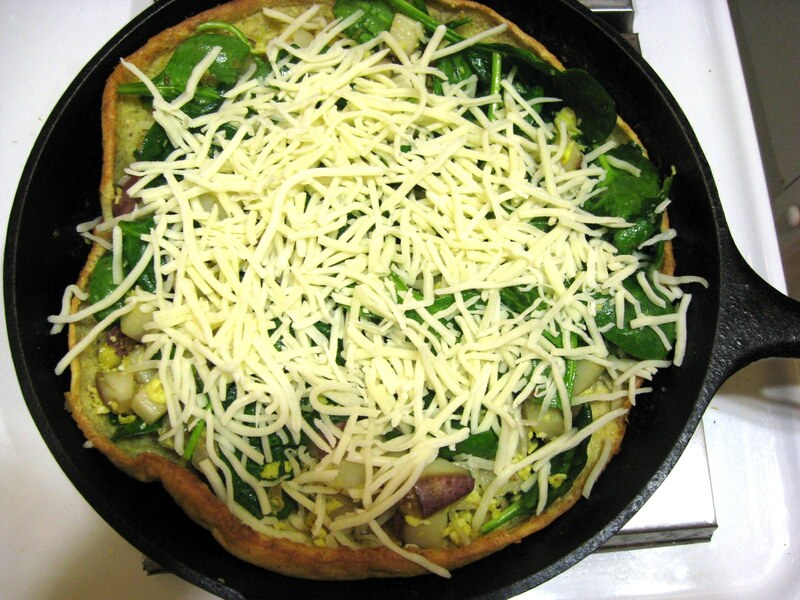 The pancake will puff up and brown. Note: I've made this a few times now and each time it has puffed up differently. Sometimes it puffs all over like the photo below and sometimes it puffs more evenly and then all the way up the sides - don't know why it's different each time, humidity changes, perhaps? It will start to deflate some as it cools. 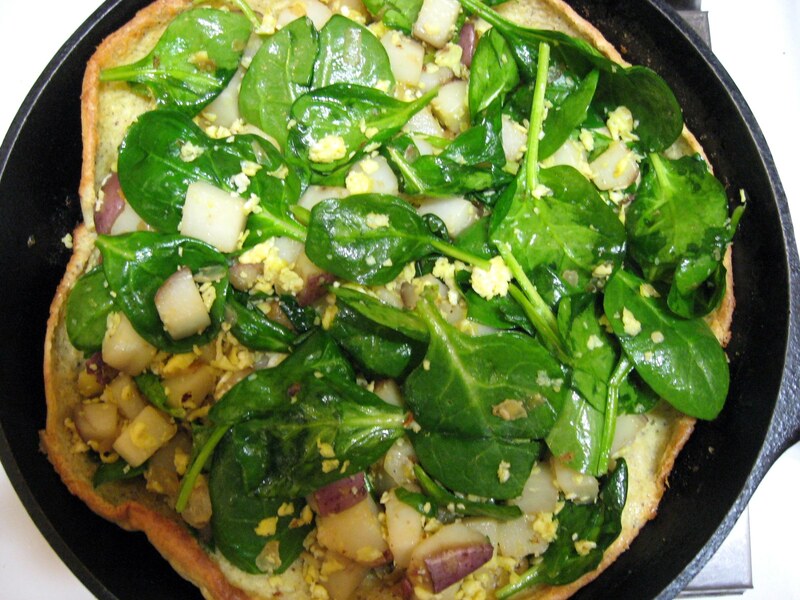 While your pancake is baking, work on your toppings. I'll start with the savory (don't forget to start cooking your potatoes and onions before baking the pancake). Place onions and potatoes in a pan with some grapeseed oil. 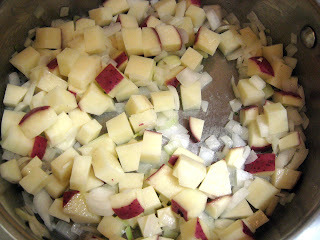 And cook until potatoes are tender. Season with salt and pepper to taste. Scramble eggs into pieces and season to taste with salt, Herbamare and pepper. Mix the eggs together with the potatoes and onions over low heat and then add the spinach. 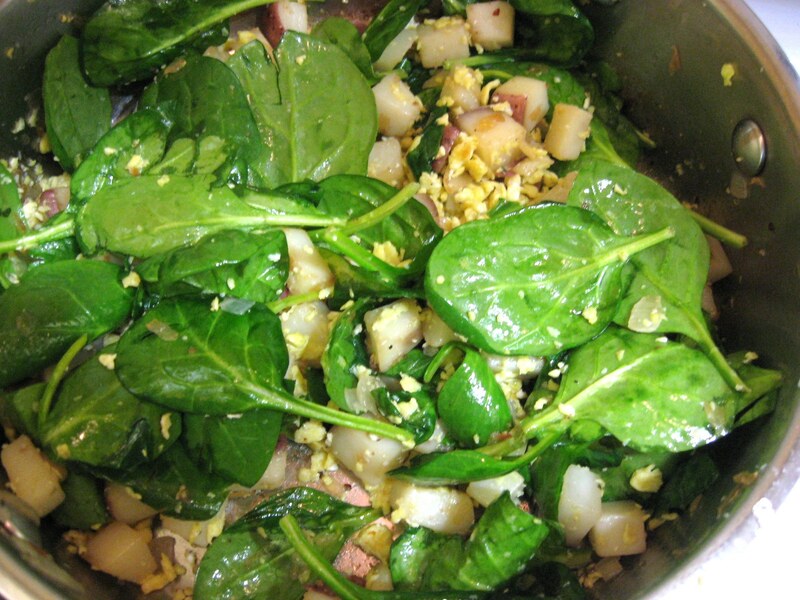 Toss together until the spinach is mixed well with the rest of it. Spread over the puffed pancake. 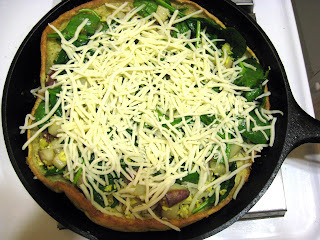 Then sprinkle cheese on top. 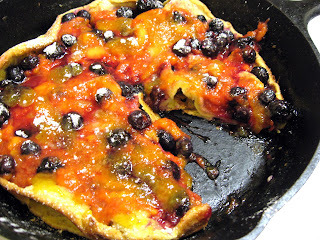 Return pancake to oven until cheese is melted. Kindly ignore the paper plate. And the poor photo. 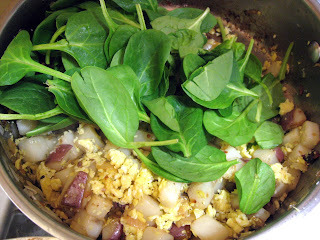 It was a throw-together supper on a crazy night. And now for the sweet topping. 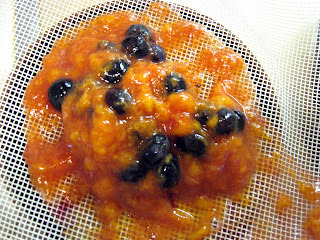 I chose sliced peaches (they were frozen, but very close to fresh - immediately frozen after being picked fresh from my dad's peach tree) and frozen organic blueberries for mine. 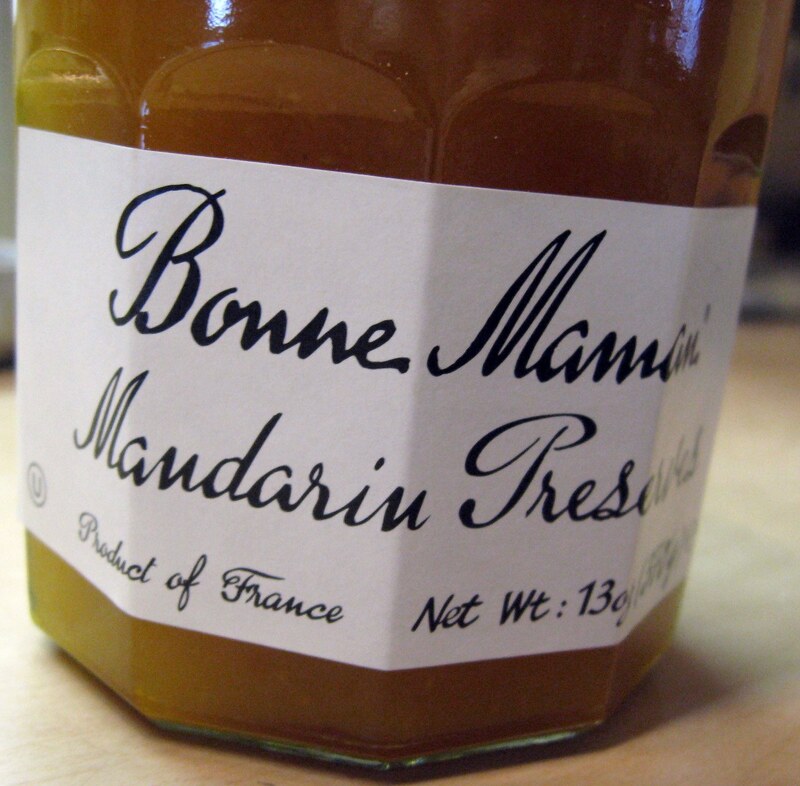 In a small saucepan, melt preserves over low heat. If you are using fresh fruit, just slice it and have ready to spread over pancake. If you are using frozen, you'll need to thaw it. I thawed my frozen peaches over low heat, then added the blueberries after I removed from heat, stirring just until thawed, and sweetened with organic sugar until it tasted just right. Then I strained the juice out. 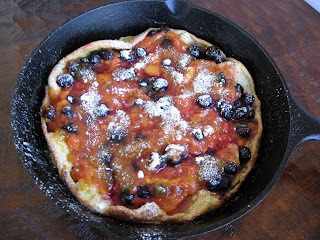 And spread the fruit over the pancake, then spread the melted preserves over the fruit. 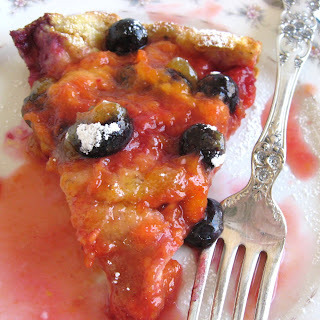 Then I sprinkled some powdered sugar over all of it. I wanted to put a dollop of whipped cream on each slice, but I was out of whipping cream. It tasted wonderful without it. 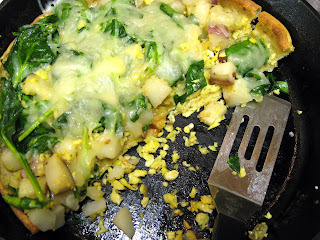 The entire pan disappeared pretty quickly (as it did with the savory version - no leftovers, but enough for seconds! ).